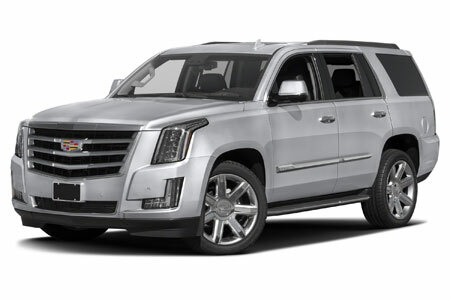 Our new Chevy Suburbans and Cadillac Escalades can accommodate up to 4 passengers and luggage. Includes door-to-door service, cold water and free WiFi*. Perfect Cabo transportation. 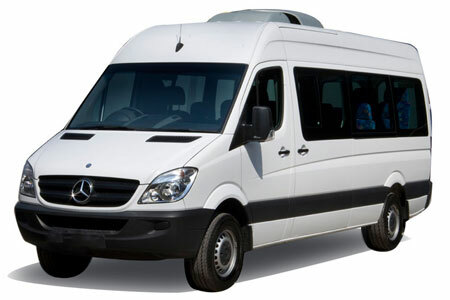 Our Chevy Vans or Mercedes Sprinters can accommodate up to 10 passengers. Transport includes door-to-door service, cold water and free WiFi*. Airport transfer Cabo transportation. 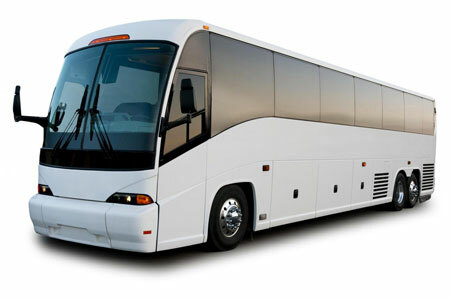 New Motor Coach vehicles accommodate up to 42 passengers and have a bathroom. Transport includes door-to-door service, cold water and free WiFi*. SJD Cabo transportation. Cabo San Lucas is one of the top destinations in Mexico located on the Baja California Peninsula. Many Americans and Canadians commonly call the region “Cabo.” As of 2015, the population of the city was 81,111 people and since many estimates places this over 100,000. Cabo San Lucas together with San José del Cabo is known as Los Cabos. Together they form a metropolitan area of 350,000 inhabitants. Cabo it is known for its beaches, scuba diving locations, the famous arch “El Arco de Cabo San Lucas” and inhibiting marine life. The Los Cabos Corridor (the area between Cabo San Lucas and San Jose del Cab0) has become a popular holiday destination for tourists. There are numerous resorts along the coast of the Sea of Cortez to around the Pacific Ocean between Cabo San Lucas and San José del Cabo. Los Cabos has a range of wildlife, including rays, sharks, birds, and is known internationally as the best place for sport fishing to catch marlin, mahi-mahi (dorado), and tuna. 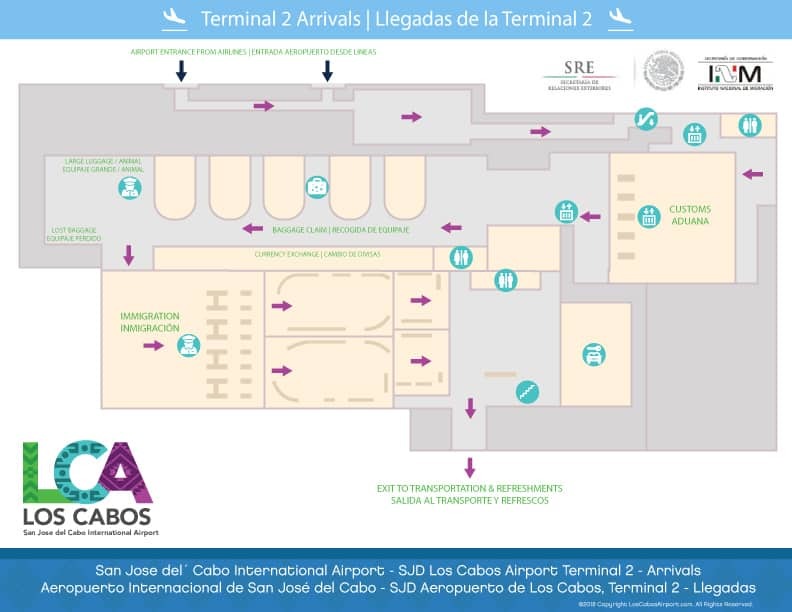 The main Cabo airport in Baja California SUR is San Jose del Cabo International Airport (airport code SJD airport) about 20 minutes north of the town. It is also commonly called Los Cabos Airport. 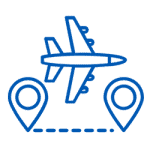 The travel time from SJD to San Jose del Cabo is around 20 minutes, to the Corridor hotels and villas around 30-40 minutes and to Cabo San Lucas and the Pacific side about 40-50 minutes. 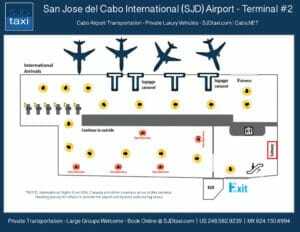 There is also an alternative highway from SJD airport to the western side of Cabo that exits near Diamante Resort and that travel time is around 35 minutes. 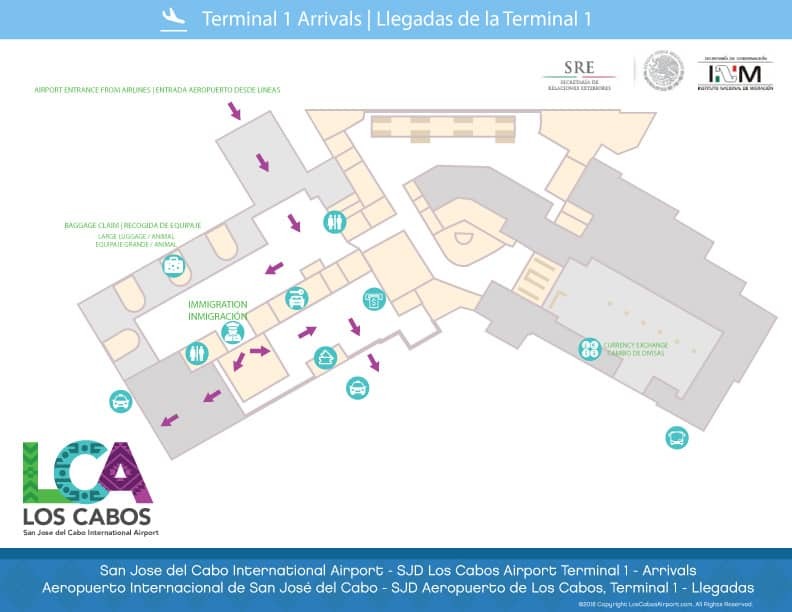 The other Cabo airport is Cabo San Lucas International Airport (airport code CSL airport). This airport is located in the northern area of Cabo San Lucas and known more for smaller, private planes, charter flights and shipping. 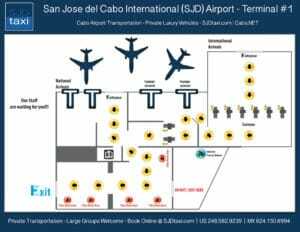 When using SJD Taxi you don’t need to worry about anything since we provide reliable Cabo airport transfers. 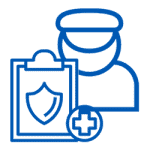 Having your own private, bilingual driver and a new SUV, Van or Sprinter can help eliminate the headaches of parking, traffic, weather, or the crazy drivers in Los Cabos. We offer new luxury model Suburbans and Cadillac Escalades with safety standards equipped to US Safety Regulations. 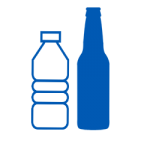 These can accommodate 4-6 adults or a mix of adults and children including your luggage. Most of our Suburbans and Escalades are equipped with free WiFi* allowing you to catch up on emails or keeping your children occupied until you arrive at your villa, home or resort in Los Cabos. 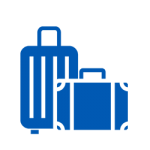 Are you traveling with someone that requires a wheelchair or other mobility considerations? Possibly needs assistance with entry into and out of the transportation vehicle? What about a child with a sensory processing disorder like autism? SJD Taxi transportation services can accommodate many of these requests in Los Cabos and all around Baja California SUR. We understand special needs and deliver extra special transportation services.